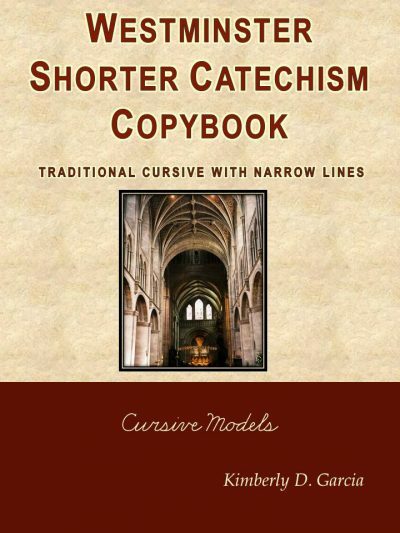 This catechism contains one question and answer per page in a traditional cursive font, followed by narrow lines for copywork. This catechism contains one question and answer per page in a vertical cursive font, followed by ruled lines for copywork. This catechism contains one question and answer per page in an italic cursive font, followed by narrow lines for copywork. This catechism contains one question and answer per page in an italic manuscript font, followed by ruled lines for copywork. 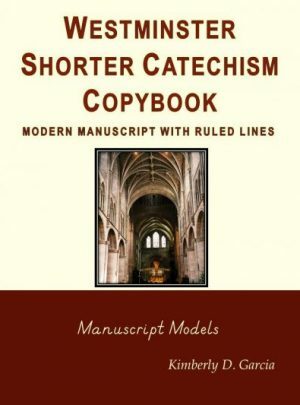 This catechism contains one question and answer per page in a modern manuscript font, followed by ruled lines for copywork. This catechism contains one question and answer per page in a modern cursive font, followed by ruled lines for copywork. This catechism contains one question and answer per page in a vertical cursive font, followed by narrow lines for copywork. This catechism contains one question and answer per page in a traditional manuscript font, followed by ruled lines for copywork. 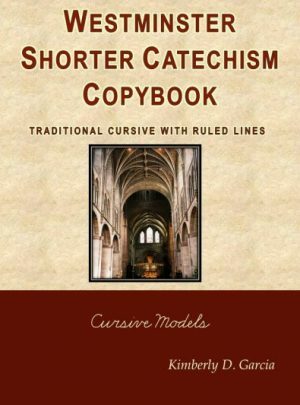 This catechism contains one question and answer per page in a traditional cursive font, followed by ruled lines for copywork.